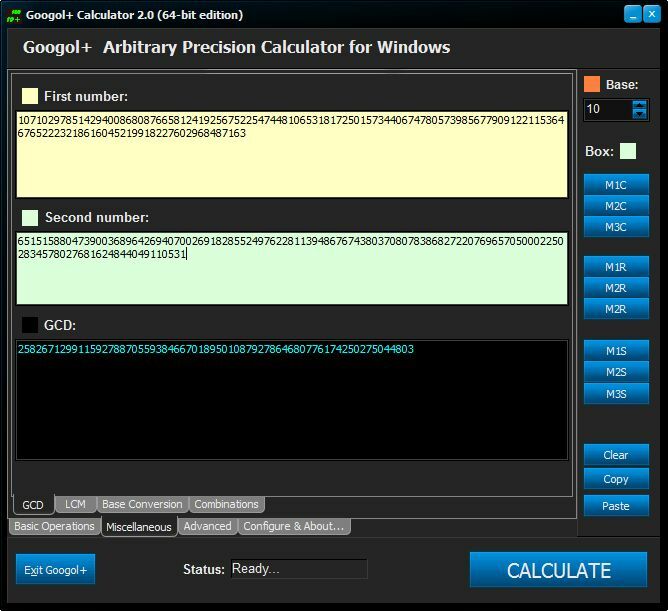 The first edition of Googol+ was launched in 2007, but we posted it in another website. 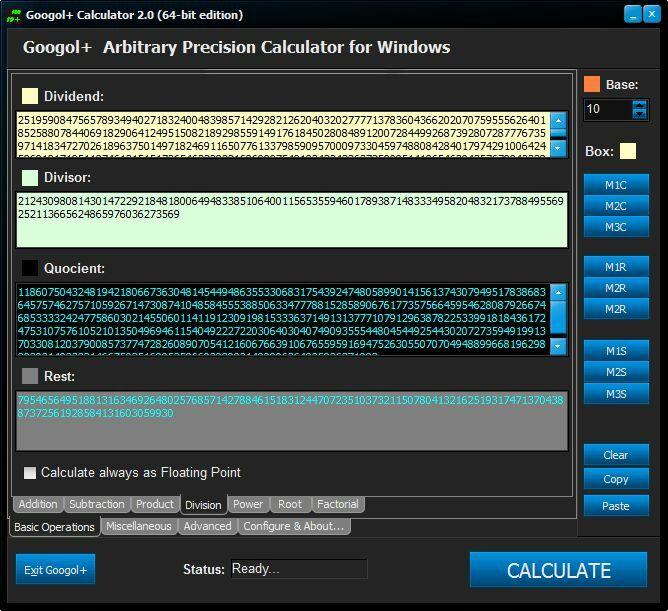 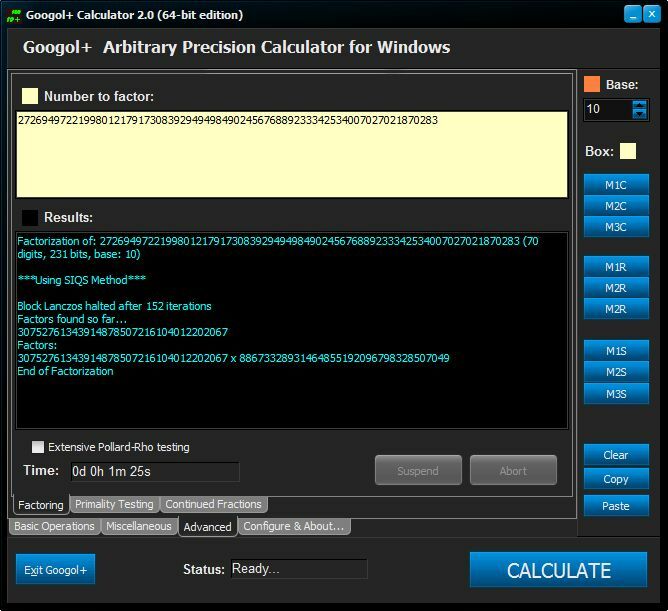 Seven years later Googol+ is still the only genuine Arbitrary Precision Windows Calculator you can find. Now, we decided to deeply revamp this product and add 64-bit processing power if you have a 64-bit operating system (Googol+, 64-bit edition is a few times faster in lengthy tasks, like factoring) . Both the 32-bit and 64-bit editions are in the same distribution, you will get the 64-bit edition installed if you have a 64-bit operating system, otherwise it will install the 32-bit. 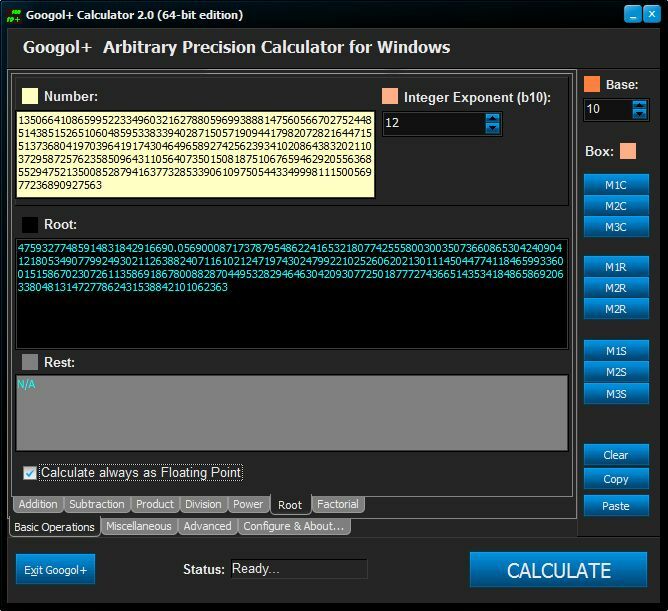 The Microsoft Windows Calculator is not good enough for every task, many people need more than calculate with 32 significant digits. 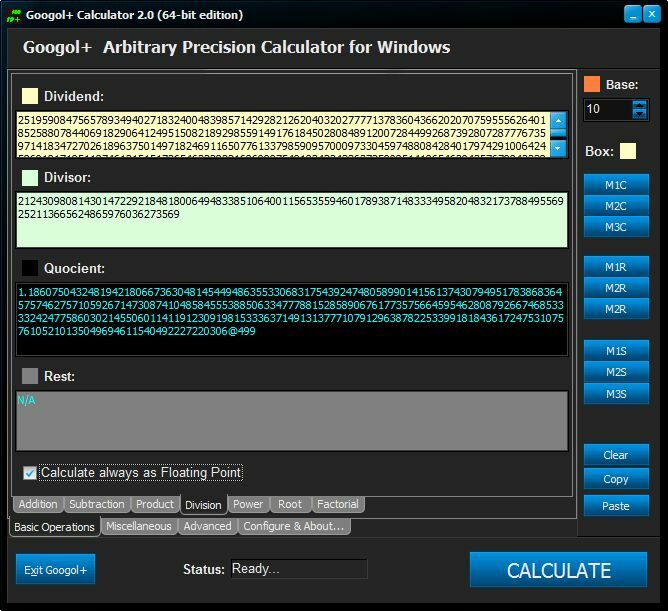 Let us experiment and calculate 310000 both with the Windows Calculator and Googol+ and then compare the outputs. 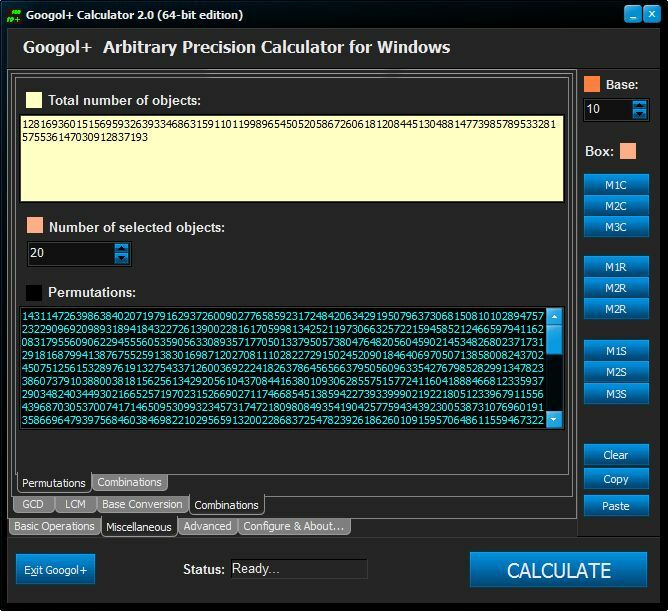 Amazing… this is what arbitrary precision calculators are intended for. 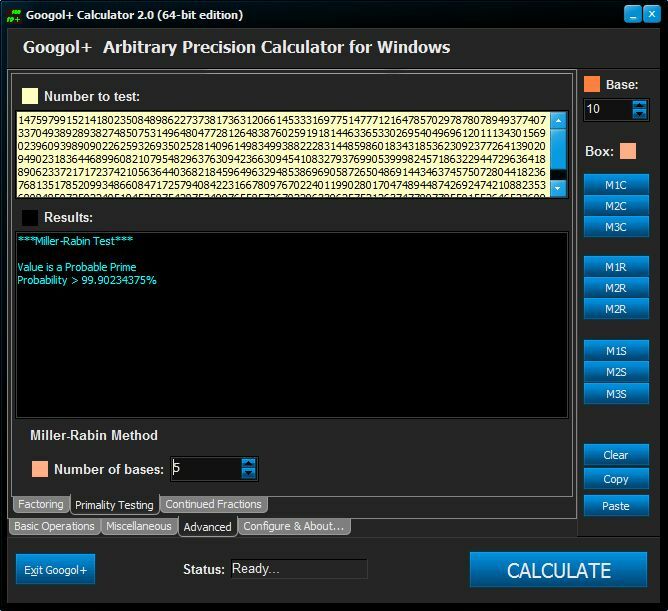 We have seen arbitrary precision calculators able to run under Microsoft Windows, but all of them are barebones and appear to have been ported from Unix to run on a console that emulates MS-DOS. 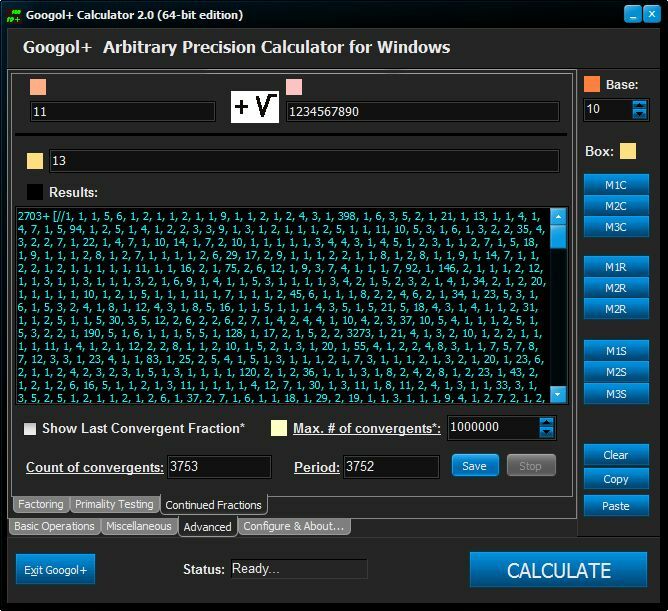 Googol+ is a long leap forward in every respect. 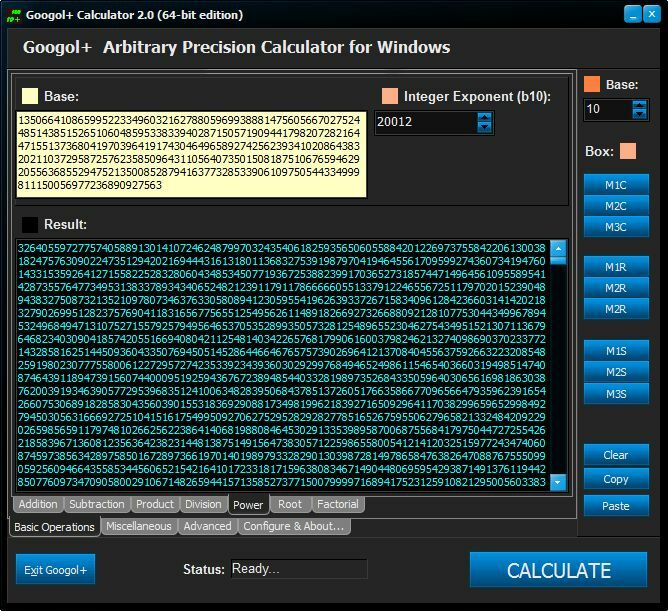 Data is inputted and outputted into large boxes not on a single line edit box as usual. 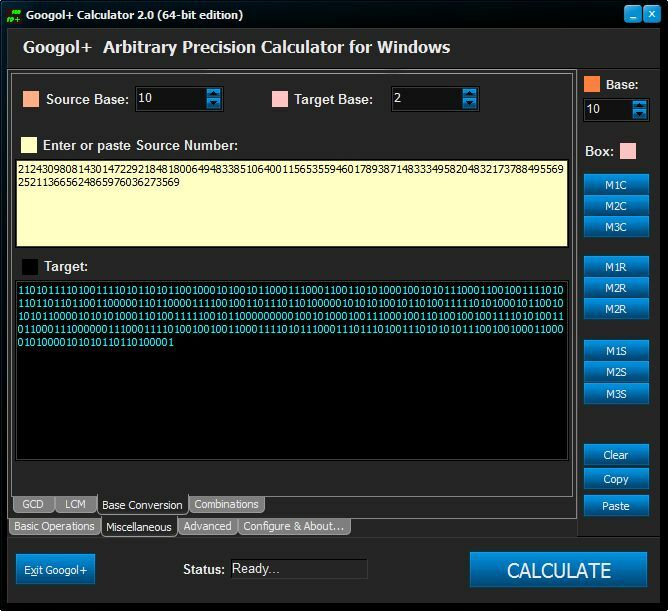 You can enter data using the keyboard or preferably by pasting, there are no 0-9 buttons to enter digits into the boxes because we are dealing with big numbers and buttons increase the probability of errors. Notice that low precision software calculators, like the Windows Calculator, imitate the design of physical hand calculators but we can not imitate a physical arbitrary precision hardware calculator because have never seen one. 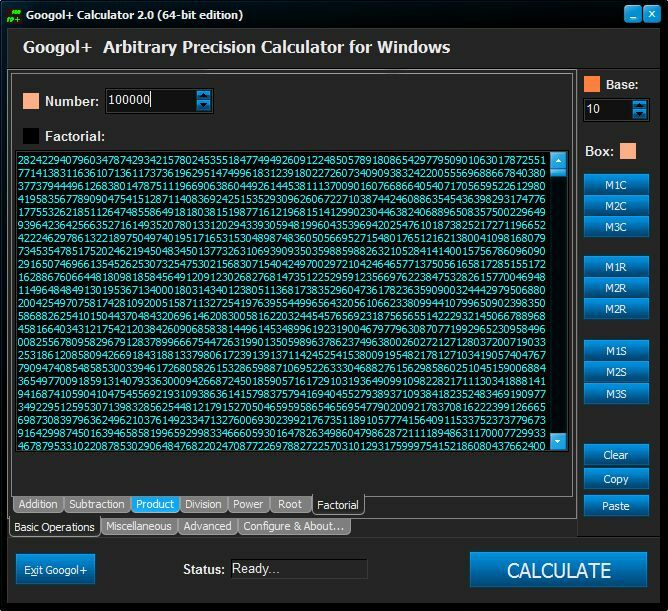 Probably, you will take a couple of minutes to get used to this interface, then you will feel at least as comfortable with it as with the Windows Calculator interface.